An exclusive opportunity to invest in a development of tenanted boutique studio apartments yielding a 6% return after costs. Delivering a net yield of 6% after costs. Fresh Invest are happy to bring to market The Steel. 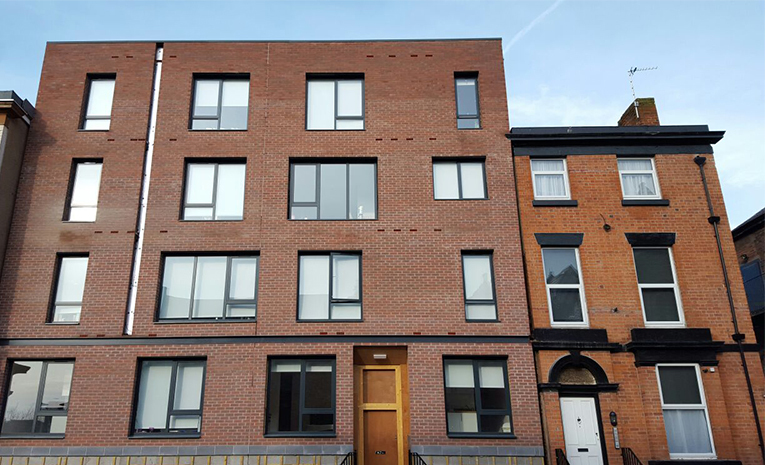 An exclusive development of 29 fully tenanted studio apartments in Liverpool, which benefit from being fully tenanted and build complete. The Steel comprises 29 luxury studio apartments in total, completed in late 2015. These are some of the highest spec student/young professional apartments in Liverpool, just a stones throw from the city centre. Demand is very high for this type of accommodation at present and the Steel is fully tenanted for the 2017-18 student year. We are offering the opportunity to invest into the Steel and benefit from a running 6% net yield. We have done considerable due diligence for the investment and consider it to be one of the best studio apartment investments in the North West. Having spoken with a number of agents in the local area the rental rates should be easily achievable and provide secure returns for years to come. The Steel sits in an excellent location, in close proximity to all universities and on the doorstep of the city centre. The area itself is a mix of residential and student property and is not pigeonholed as a location, which is only attractive to students, giving multiple exit strategies. The Steel is within 1 mile of the two largest university campuses in Liverpool. Along with this it is less than a mile from “the bombed out church” the start and finish of most student nights out! With Albert Docks and Liverpool One shopping centre within a 15 minute walk too, this is going to prove a very popular student destination. Once we have answered all of your questions, we will guide you through the quick and easy purchasing process. Upon completion the remaining balance becomes payable and you take ownership of the property. It is likely that exchange and completion will take place on the same day since the property is build complete.